NEW LISTING!! Perfect for an investor or first time home buyer!! Don't miss this beautifully maintained and move-in ready studio conveniently located in the heart of Honolulu. Centrally located; Ala Moana Shopping Center, Don Quijote, 24-Hour Fitness, Walmart, restaurants, banks, busline are all within 1 - 2 blocks. Plus One Assigned Parking Space. This unit features an open floor plan, secured parking, and a laundry center on each floor. This opportunity can't be missed!!! 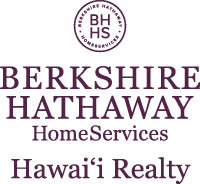 I am interested in 1560 Kanunu Street UNIT 408, Honolulu, HI 96814. Courtesy: Pure Real Estate Inc.
Sign up for Inside AccessTM to view recent sales near 1560 Kanunu Street UNIT 408.